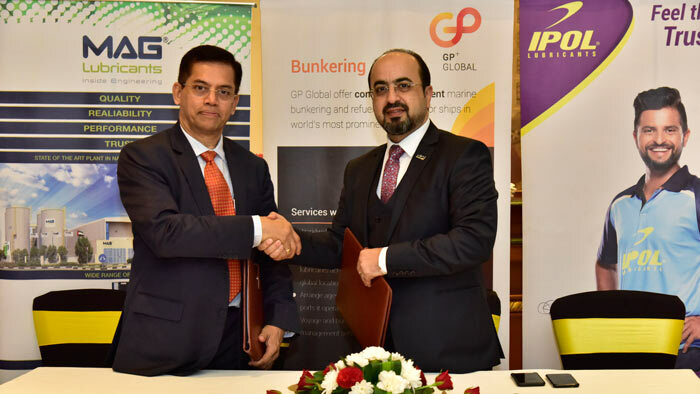 GP Petroleums Ltd., based in Mumbai, India, has signed an agreement with UAE-based Mag Lubricants LLC (Mag Lube) to manufacture and market IPOL-branded lubricants across the world. As part of the agreement, Mag Lube will pay a royalty to GP Petroleums for the formulation technology and brand. “The consolidation of lubricant brands globally is seen as an opportunity to grow, and GP Petroleums with its brand IPOL is well poised to fill the space for affordable and high-quality products in the emerging markets,” said Hari Prakash Moothedath, chief executive officer of GP Petroleums. GP Petroleums, which is part of UAE-based GP Global (formerly Gulf Petrochem Group), manufactures and markets automotive and industrial lubricants, process and transformer oils, lubricating greases and other specialty products under the IPOL brand in India and in some foreign markets. The partnership with Mag Lube will help GP Petroleums utilise Mag Lube’s distribution network, particularly in the Middle East and in Africa. The current marketing focus would be on automotive and industrial lubricant space in the Middle East, Africa and Far East markets. These markets have an aggregate demand of more than two million tonnes per annum (MTPA), the company said. “GP Global has ambitions to be a 250,000 MTPA lubricant company by 2021 and this agreement is the most vital cog in our efforts to achieve the shareholders’ vision,” said Sanjay Singh, chief operating officer, Mag Lube. Mag Lube LLC owns and operates a 30,000 square meter lubricants blending plant in the National Industrial Park, Jebel Ali, UAE. Mag Lube markets its products across 50 countries, with a strong presence in the Middle East and Africa.